Truly beautiful on the inside and out, Eileen Falkey was a blessing to everyone she met. From the time she was baptized in the name of Jesus she was never the same, and from that point forward she exemplified what it means to be the hands and feet of the Lord she loved.  A loving wife and devoted mother, Eileen took these roles to heart. However, she just might have argued that nothing was better than becoming a grandmother to the grandchildren who made her heart sing. Life will never be the same without Eileen here, but she leaves behind a timeless legacy that her loved ones will proudly carry on in her footsteps. The 1950s were an exciting time in America. Televisions were becoming part of our lives in record numbers, James Dean and Marilyn Monroe became household names, and Elvis Presley took the music world by storm with his rock ’n roll music. Amidst this exciting time was an exciting time in the lives of Ralph and Ione (Acker) Wieselman as they announced the birth of the baby girl they named Eileen P. on November 2, 1954, in Milwaukee, Wisconsin. She was born on her sister Sharon’s birthday, and Eileen loved to remind Sharon that she was the best present she ever got. 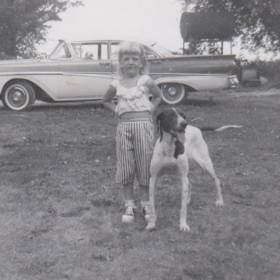 Her father was a truck driver while her mother was a homemaker, and Eileen was raised in the family home on The 7 Mile Road in Raymond, Wisconsin. 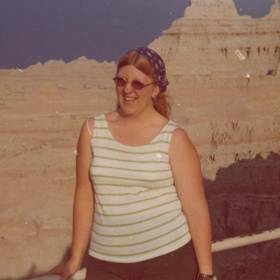 Raised alongside her older siblings, Sally and Sue, “the twins,” and Sharon, and her younger sister, Kathy, tragedy stuck with the death of her mother when Eileen was only a young girl of eight. Soon after, there was a family meeting when Eileen’s father asked if everyone was willing to make sacrifices in order to stay together or if they preferred to be spilt up to stay with various relatives. Eileen begged to stay together, and for the rest of her life family was of the utmost importance. Life in the Wieselman home was different, but they came together and made it through. Eileen’s twin sisters, Sally and Sue took the lead in mothering Eileen, and as a result they have always been a great influence in her life. Eileen treasured the companionship of her dog, Tammy, and the many litters of puppies she had. She spent many hours in the chicken coop playing with them and keeping them warm. Eileen was Daddy's girl and the son he never had. She loved fishing with him and to help him check the tires on his gravel truck each evening. Eileen was close to her siblings, and they remained that way throughout her entire life. She and Sharon shared a bed, and when she complained of growing pains Sharon soothed her by rubbing her legs and singing “Silent Night.” According to Eileen, school was a great place to hang with friends. At times, she even learned a thing or two! She was thrilled to be awarded the best actress award for her role as the drunken “ Vicars Wife” in the school play. 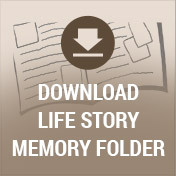 After high school Eileen began working as a factory worker at Louis Allis in New Berlin. She later worked at AC spark Plug in Oak Creek. It was while out disco dancing with her sister, Sharon, that Eileen’s life was forever changed when she met the man of her dreams. His name was Robert J. Falkey, and sparks flew. Eileen often spoke about the night he took her to see “Falkey's Pond.” She may have been a bit naive because she was surprised to discover he drove her to Lake Michigan to see the submarine races. Eager to begin a new life together, Eileen and Bob were married at a Greendale Community church on November 29, 1975. To their marriage he brought his two children, Jeremy age four and Jenifer age three. Jeremy and Jenifer lived with them, and Eileen treasured her ready-made family, embracing them as her own children. In 1985 their family was completed when they adopted Hannah from Columbia, South America. Eileen often bragged on God for giving them such a special “Angel,” one He chose just for her family. Eileen enjoyed her short time as a full time mother when Hannah was young. Life was forever changed for Eileen when a coworker at AC Spark Plug spoke with her about Jesus in 1979. A short time later, she and Bob began attending Parkway Church where they were baptized in Jesus name and filled with the Holy Ghost. 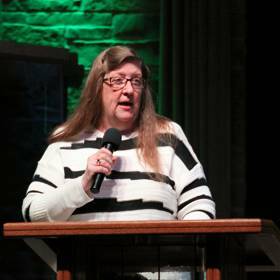 During her time at Parkway Eileen ministered in many areas including the choir, Sunday school, being a tribe leader, an office assistant, a small group leader, administrator over the Real Life Ministries, and church administrator. In order to allow Jeremy and Jenifer to attended the Christian school, Eileen left factory work and began working as a teacher's assistant at Parkway Christian Academy. She remained working at the academy until Hannah was adopted and later began working full-time at the church in 1994. There were so many experiences that were near to Eileen’s heart. The greatest day of her life was on December 12, 1979, when she was baptized in Jesus name and filled with the Holy Ghost. Other special days were when they traveled to South America to adopt Hannah and celebrating her 30th anniversary in Hawaii. Christmas at the Falkey home was always a special time. In addition to their gifts, the kids always ended the celebration by opening their stockings stuffed with special treasures. 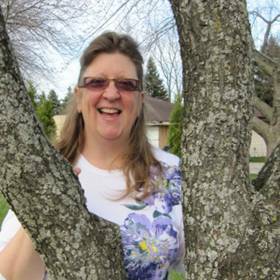 Eager to be a disciple, Eileen’s role in small group ministry gave her the opportunity to minister to people all around the country. Additionally, she and Bob ministered in the Philippines, Australia, and New Zealand. Sunday afternoons spent watching the Packers with Sally, watching a good western, and spending time with friends were also times that Eileen treasured. 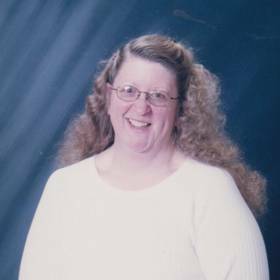 Described as goofy, spontaneous, relentless, awesome, and faithful, Eileen Falkey was a gift given to those around her. She always saw that glass as overflowing with goodness, and her zest for life was contagious. Eileen was genuine in the way she cared for others, and she gave all glory to God. Deeply loved, she will be forever missed.